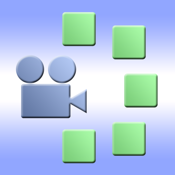 Photo 2 Video allows you to create fantastic and engaging panoramic movies using photos from your device's camera roll. Panoramic movies create the effect of placing your photos on one of a number of backgrounds, like wood, marble or grass, and then panning the camera over your photos creating a seamless moving background. Just select your photos, crop them, apply filters, and arrange them in the order you want for your movie. Add voice-overs for narration and choose a background track from your music library. Then set your movie options before hitting the record button! Movies are created and automatically copied back to your device's camera roll. Get Photo 2 Video now and experience your photos in a whole new way!